Joseph Logan began his studies on The American Revolution back in November of 2000. He was walking through Borders book store in Rochester, New York looking for a Christmas present for his wife and while walking through the history section en route to the romance novels he was struck by a book with a handsome cover. It was "John Adams: A Life" by John Ferling. Prior to this fortuitous encounter John Adams was simply the second President of the United States. He finished the book in about a month and has been hooked on history ever since. He started building the site in February of 2001 and had the initial elements completed within a year. He then focused on reading every book he could get his hands on relating to The American Revolution. He estimates that he has read over 200 books on the subject but remains a huge supporter and evangelist of John Adams' legacy. To Logan, Independence may not have occurred for several generations if at all if not for Adams. He let the site stand for years while doing research and visiting historical sites up and down the east coast. One day he did a search for "theamericanrevolution.org" and found thousands of entries. Surprised and delighted he made a significant investment to update the site's look and feel as well as the content taking care to ensure that the existing content remained. Stability seems to be extremely important for teachers who place trust in out site so we therefore ensure that we keep the pages and the associated URL's the same to ensure that content that is referenced in a lesson plan does not change. In February of 2010 the site redesign was "soft launched" with the home page, battle page and important people page all updated with a cleaner and more readable design. So far the feedback has been positive and we have several new things planned for the future including more indexed and searchable documents, virtual tours of historic sites, and many other items. Keep checking back for new features. We work with schools and universities regularly to deliver the content that they require to support their lesson plans and curriculum. Thousands of educational institutions link to TheAmericanRevolution.Org and the site received close to 5 million unique visitors during the past 12 months. If you are a teacher or student please feel free to contact us directly via the contact page if you require any additional content on the site. If you are interested in advertising your company or corporation or even your activity feel free to contact us via the contact form as well. 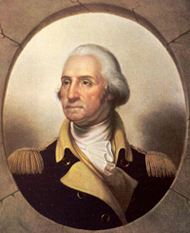 We are committed to helping in the education and awareness of The American Revolution for both children and adults. *Update 6/1/2011 - Logan moved to Amsterdam with his family in 2011 and has been travelling throughout both Holland and the UK doing research and visiting locations that were involved in the American Revolution. Of course he has been to John Adam's residence during his stay attempting to procure funding for the troops back home. Even more interesting for him seems to be travelling the countryside in England and talking to the residents to get their input and feelings about the event that changed both of our histories. They certainly have a different take on the war!